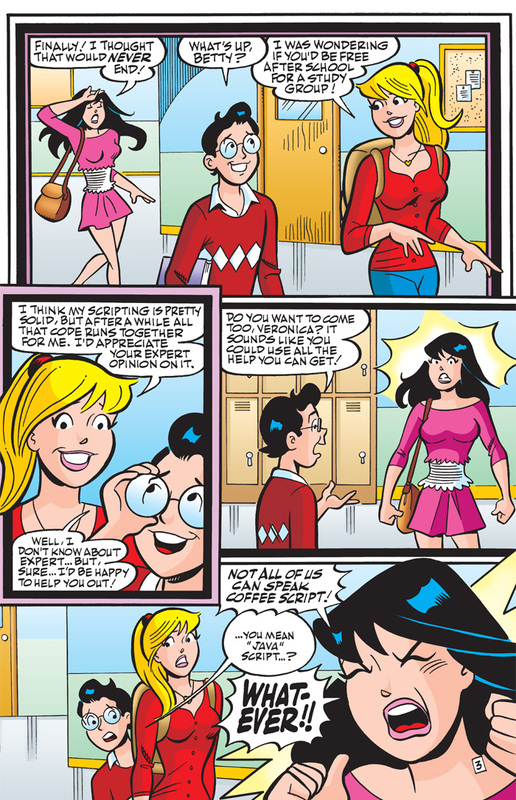 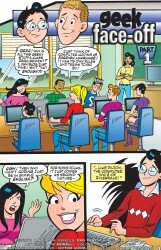 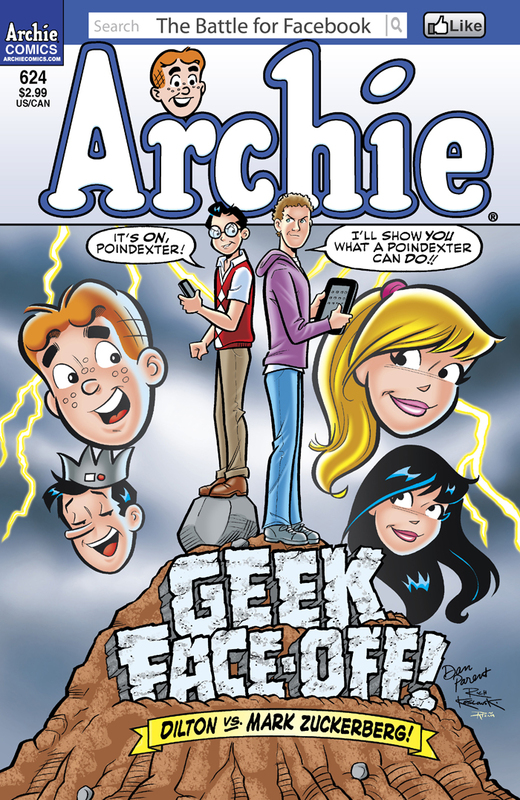 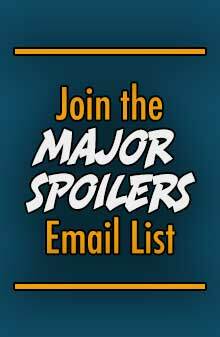 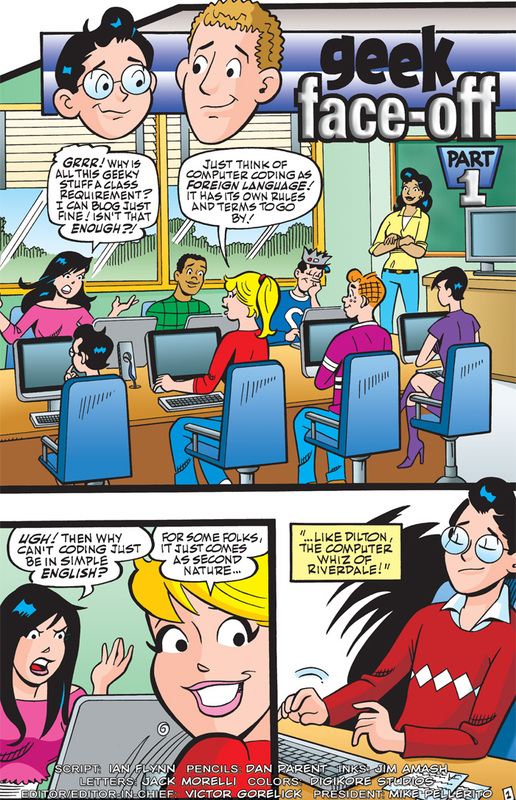 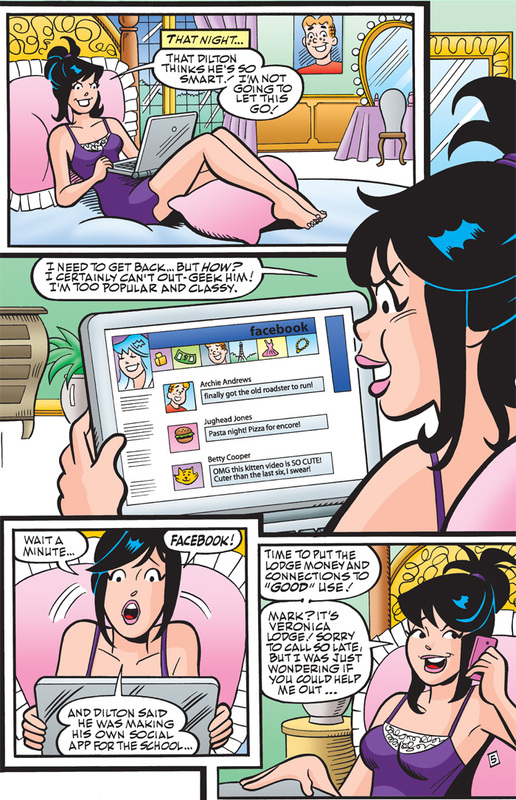 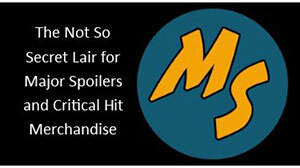 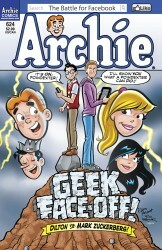 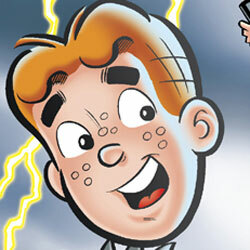 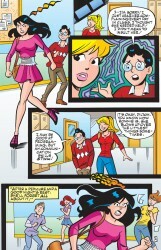 Archie Comics sent Major Spoilers a sneak peek of Archie #624, that you can check out, after the jump. 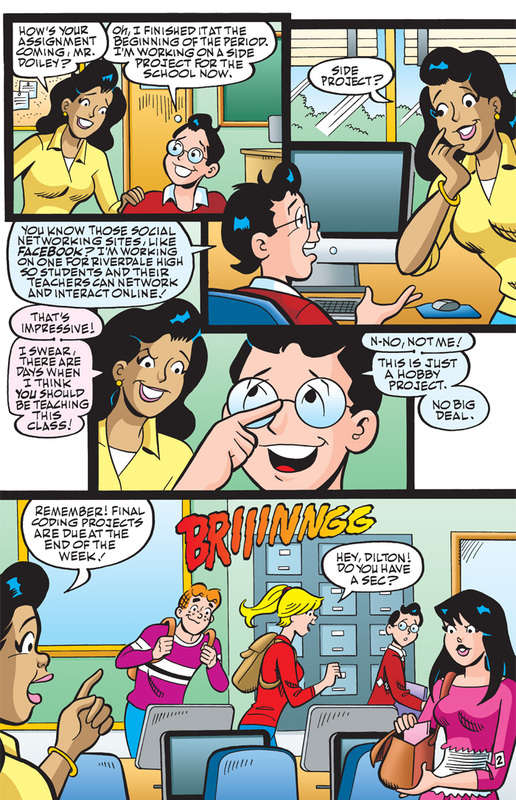 Dilton reunites with his former best friend from tech camp, Mark Zuckerberg, to dispute his right to Facebook in court. 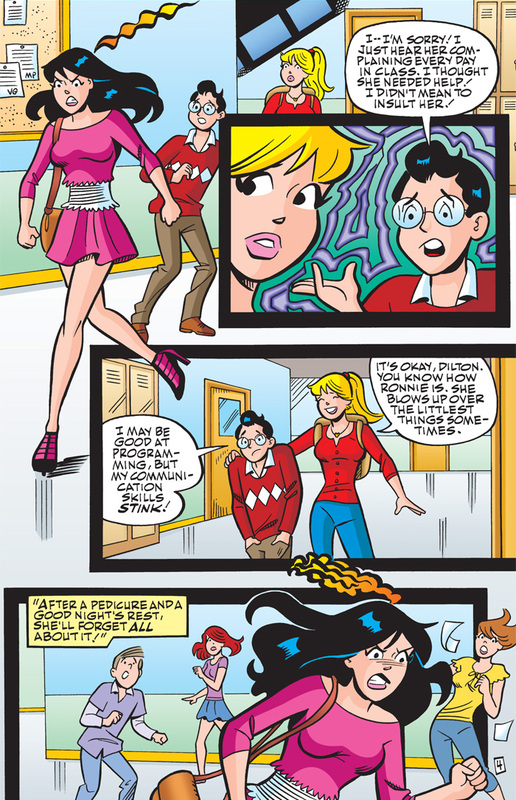 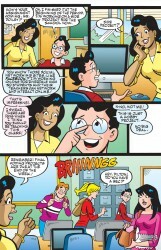 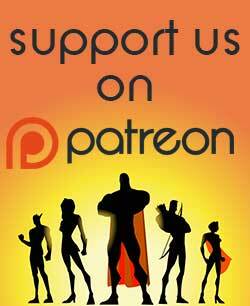 Even though the judge rules in Dilton’s favor, the Blossom twins own 99% of the profits. 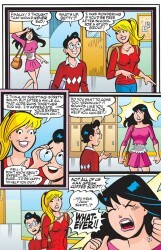 Once the air is cleared, Dilton and Mark are friends again and the tide has turned in their favor.